Some of the latest pictures from my Flickr photo stream. Note: This site used to be hosted at cs.rpi.edu; I have moved it here to preserve the contents. Hello, I am a former graduate student in the Algorithmic Robotics Laboratory (ARL) at RPI. Huzzah. You may also be interested in my vast photo archives or my del.icio.us. This site is mostly about my PhD research. Currently I am Director of Integration Engineering at Internap. Internap recently bought Voxel dot Net, where I've been responsible for architecture and development of a variety of Internet infrastructure products. As of early 2012 I'm in NYC -- still building cool infrastructure products! From 2008 until early 2012 I lived in lovely Singapore, where I spent a lot of time sweating and enjoying S$2 chicken rice. For much of my time there, I lived aboard my 40 ft sloop, Oia. Oia is currently laid up in Langkawi, Malaysia and undergoing some minor refitting while I'm in New York. In 2007 I co-founded a startup company in Cambridge, MA, SolidJoint Research, Inc., to develop a new green building material. I was at RPI more or less from 1998 through 2007, aside from a one year stint in the dot-com trenches. 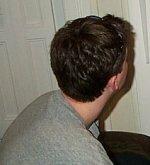 In 2003 I was awarded a BS in Computer Science. In 2004 I finished my MS (thesis: Topological mapping and map merging with sensing-limited robots) under my advisor, Wesley H. Huang. In 2007 I finished my PhD (thesis: Mapping with limited sensing), also advised by Wes Huang. The focus of my PhD research was robotic mapping and exploration using small robots with limited sensing capabilities. I am also chronically interested in too many things. Among them: current events, entrepreneurship, finance, foreign policy, graduating, hiking, photography, politics, predictive markets, probability, programming, proving things, puzzles, rationalism, sensor networks, social software, teaching, travel, writing, and oh so much more! Kristopher R. Beevers and Wesley H. Huang. Fixed-lag sampling strategies for particle filtering SLAM. 2007 IEEE International Conference on Robotics and Automation (ICRA 2007), pages 2433-2438, Rome, April 2007. Kristopher R. Beevers. Mapping with limited sensing. PhD thesis, Rensselaer Polytechnic Institute, Troy, NY, January 2007. Kristopher R. Beevers. Sampling strategies for particle filtering SLAM. Technical Report 06-11, Dept. of Computer Science, Rensselaer Polytechnic Institute, Troy, NY, September 2006. Kristopher R. Beevers and Wesley H. Huang. Inferring and enforcing relative constraints in SLAM. 2006 Workshop on the Algorithmic Foundations of Robotics (WAFR 2006), New York, July 2006. Kristopher R. Beevers and Wesley H. Huang. SLAM with sparse sensing. 2006 IEEE International Conference on Robotics and Automation (ICRA 2006), pages 2285-2290, Orlando, May 2006. Wesley H. Huang and Kristopher R. Beevers. Topological map merging. International Journal of Robotics Research, 24(8):601-613, August 2005. Kristopher R. Beevers and Wesley H. Huang. Loop closing in topological maps. 2005 IEEE International Conference on Robotics and Automation (ICRA 2005), pages 4378-4383, Barcelona, Spain, April 2005. Wesley H. Huang and Kristopher R. Beevers. Complete topological mapping with sparse sensing. Technical Report 05-06, Dept. of Computer Science, Rensselaer Polytechnic Institute, Troy, NY, March 2005. Kristopher R. Beevers and Jufeng Peng. A* graph search within the BGL framework. In Boost Graph Library 1.33.0, October 2004. Wesley H. Huang and Kristopher R. Beevers. Topological mapping with sensing-limited robots. In M. Erdmann et al., editors, Algorithmic Foundations of Robotics VI, pages 235-250, Zeist, Springer, 2005. Wesley H. Huang and Kristopher R. Beevers. Topological map merging. In R. Alami, R. Chatila, and H. Asama, editors, Distributed Autonomous Robotic Systems 6, pages 97-106, Springer, 2007. Kristopher R. Beevers. Topological mapping and map merging with sensing-limited robots. Master's thesis, Rensselaer Polytechnic Institute, Troy, NY, April 2004. SLAM with limited sensing The focus of my PhD thesis is on the development of simultaneous localization and mapping (SLAM) algorithms for robots with limited sensing. (For example, our robots have an array of five short-range infrared rangefinders.) In contrast, most SLAM algorithms rely on the availability of frequent, high-resolution feedback from sensors such as scanning laser rangefinders. My research in this area investigates techniques for particle filtering SLAM with low-resolution ("sparse") sensing, methods to manage the high uncertainty associated with limited feedback, improvements to particle filters for incorporating prior knowledge and improving filter consistency, and implementation of SLAM on real inexpensive robot hardware. Topological mapping with sensing-limited robots My Master's thesis work focused on the creation of topological maps with robots possessing limited sensing capabilities, e.g., sparse, short-range sensing such as small arrays of infrared rangefinders. My research developed algorithms for exploring indoor environments and representing the structure of an environment in a graph, called a topological map. I have investigated issues in map representation, loop-closing, and map merging in multi-robot scenarios. mpro middleware for	the RWI MagellanPro I have developed some libraries and programs, collectively called mpro, for network-based control and simulation of an RWI MagellanPro research robot. mpro provides a simple C/C++ interface that is suitable for teaching applications. The software has been used by students in CSCI-4190 Introduction to Robotic Algorithms. The drawableObject Library I am the primary developer and maintainer of dolt, the drawableObject Library, a simple representation-independent 2D C++ graphics library based on Glut that can draw graphics to both the screen and Postscript. dolt is used in a number of ARL projects, and has also been used as a tool for programming projects in several classes. dolt is tightly integrated with cgal, the Computational Geometry Algorithms Library. dolt also provides its own geometric representations, as well as several non-geometric primitives including bitmapped images and text. Mobile robot development In the summer of 2003, I worked with others in the ARL to develop a new, capable mobile research robot platform. I designed and implemented both low-level software (e.g. drivers and libraries) and a high-level hybrid (reactive/deliberative) software architecture. Development of these robots is stalled for now as we work on another, far simpler robot platform for use in our mapping research. Still, we got quite a long way through the development process, and some interesting media and documentation is available. Robot motion planners Back in 2002 I implemented a number of well-known robot motion planners for planar robots with two and three degrees of freedom. The planners include: uniform grid, quadtree, triangulation, visibility graph, probabilistic roadmap, nonholonomic grid, holonomic refinement and nonholonomic probabilistic roadmap planners. Several of these motion planners have found their way into ARL projects. The code for the planners is not available publicly, but if you are interested in using them, particularly for research activities, feel free to contact me. For now, you can look at images of the planners in action. In October 2006 I talked about "Mapping with limited sensing" at the RPI Department of Computer Science Graduate Seminar. In September 2006 I talked about "Sampling strategies for RBPF SLAM" at an ARL meeting. In July 2006 I talked about "Inferring and enforcing relative constraints in SLAM" at the WAFR 2006 conference. In May 2006 I talked about "SLAM with sparse sensing" at the ICRA 2006 conference. In January 2006 I talked about "Modern robot mapping" as part of the "research qualifier" requirement for my PhD. In December 2005 I talked about "Mapping with limited sensing" at iRobot Corporation. In October 2005 I talked about "SLAM with sparse sensing" at an ARL meeting. In April 2005 I talked about "Loop closing in topological maps" at the ICRA 2005 conference. In March 2005 I talked about "Topological Map Merging" at an ARL meeting. In February 2004 I talked about "Single-robot Topological Mapping and Map Merging for Sensing-impaired Robots" at an ARL meeting. A few weeks later a slightly updated talk at a Center for Automation Technologies seminar. In October 2003 I talked about "Mapping With Limited Sensing Capabilities" at an ARL meeting. In July 2003 I talked about "Topological Map Merging for Distributed Mapping" at an ARL meeting. In April 2003 I talked about "Software Considerations for Robots in a Multi-robot System" at an ARL meeting. In Nov. 2002 I talked about "Game Theory, Robotics and the Pursuit-Evasion Problem" at an ARL meeting. During the Spring 2006 semester I co-organized (with Wes Huang and Flip Lamoureux) the seminar course CSCI-6971: Mathematics for mobile robotics. During the Spring 2006 semester I was the teaching assistant for CSCI 4190: Introduction to Robotic Algorithms. During the Fall 2005 semester I was the teaching assistant for CSCI 4150: Introduction to Artificial Intelligence. During the Spring 2003 semester I was the teaching assistant for CSCI 4190: Introduction to Robotic Algorithms. I also had a local page for the class. During the Fall 2002 semester I was the teaching assistant for CSCI 4150: Introduction to Artificial Intelligence. Distributed system prototype Just what it sounds like. A prototype for a distributed computational system based on a plugin architecture. Written in C for Linux/Win32. Comes with a simple prime number calculator plugin; write your own plugins for increased functionality! Circa 2001. A puzzle! (click here) If you can figure out what this is, and its relation to "Madster" (formerly Aimster until AOL pulled some strings), I owe you a cookie! By the way, I don't like Aimster/Madster any more! Read Evan's page to find out why. I was one of the four core members of the Aimster development team for over a year, until I stopped getting paid. An insightful essay (click here) Here is a good essay by Orson Scott Card about programmers, managers, etc. Circa 1995.